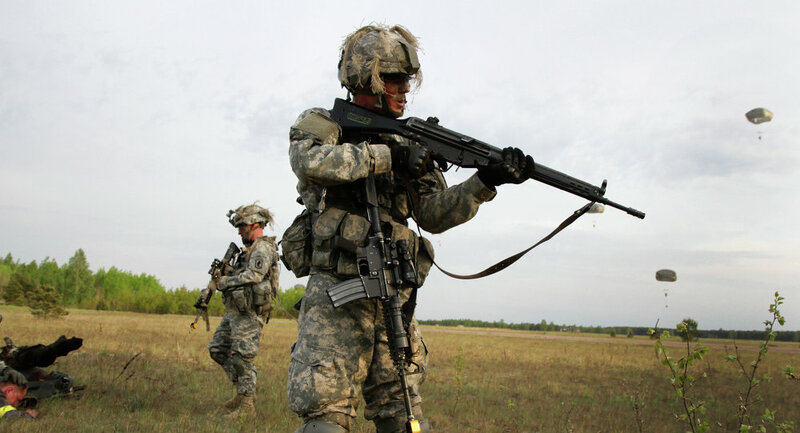 The arrival of US military instructors in Ukraine can aggravate the situation. Furthermore, the Ukrainian Armed Forces will take advantage of the modern weapons and equipment that the "guests" are likely to leave in the country. 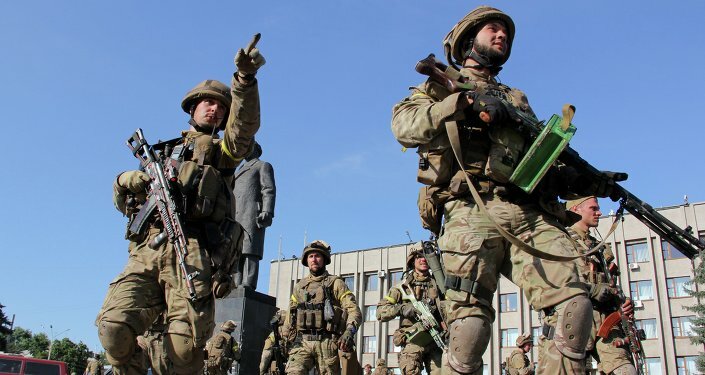 DONETSK (Sputnik) – The eastern Ukrainian self-proclaimed Donetsk People’s Republic believes the arrival of US military instructors to Ukraine is an attempt to escalate the conflict in the eastern regions, DPR negotiator Denis Pushilin said Friday. On Thursday, the US Army announced on its website that approximately 300 US paratroopers arrived in Ukraine to train local military personnel. “This is goal-oriented policy taking into account the improved equipment and is a type of escalation in the conflict,” Pushilin told journalists. The DPR negotiator also raised fears that after the US-Ukrainian exercises end, the equipment would remain in the country. Earlier on Friday, the Ukrainian Defense Ministry announced that joint military training would begin on April 20 in the Lviv region in the country’s west. Earlier in the day, Kremlin spokesman Dmitry Peskov said the deployment of western military instructors to Ukraine could seriously destabilize the country. The US government announced plans to deploy 300 military personnel to Ukraine for a joint training mission at a peacekeeping center near Lviv in early March, amid a new ceasefire agreement between Kiev forces and Donbas militias. Later, the US Army Europe Commander said the training would be delayed to give more time for the reconciliation process between the warring sides.